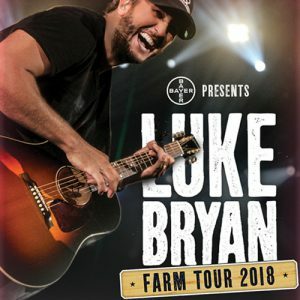 Luke Bryan has announced that his 10th annual Farm Tour will visit six cities this fall, including Pesotum, Illinois. The Illinois concert will be September 28th, located at Atkins Farm, 930 County Road 300 North, in Pesotum, IL at 6 PM. Tickets are $51 in advance, or $60 at the gate, and parking will cost $5 in advance or $20 day-of. Once the show sells out, no tickets will be sold at the gate. More than 100,000 fans have attended Bryan’s Farm Tour stops throughout the past decade. Since its inception in 2009, the trek has also helped Bryan award more than 50 students from farming families in the communities he’s visited with college scholarships. 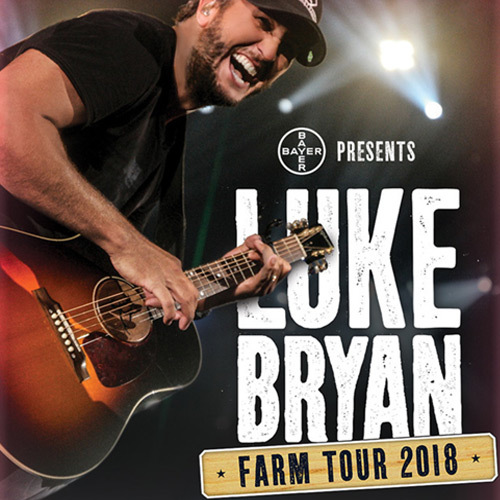 Tickets for Bryan’s 2018 Farm Tour will go on sale on June 9 at 10AM local time, but Nut House fan club members, users of Bryan’s official app and Citi cardholders will have access to pre-sales that begin on June 1 at 10AM local time. Visit LukeBryan.com for more details.